Complete Hydrant hook-up with 100' of 5" within 2 minutes. MCFPD is part of the Tri-State Fire Recruitment Alliance. The Tri-State Fire Recruitment Alliance is a consortium of 16 separate fire departments located across Southwestern Missouri. The Tri-State Fire Recruitment Alliance holds written and physical ability testing at least four times a year. Candidates who successfully complete both portions of the test are then eligible for hiring by any of the Tri-State Fire Recruitment Alliance members. Candidates remain on the hiring list for one year after completion of the testing exercise. All member fire departments are bound by contract to only hire entry level firefighters from the Tri-State Fire Recruitment Alliance hiring list. 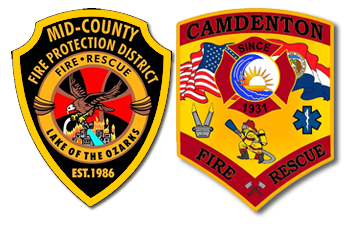 The member departments currently are; Mid-County Fire District, Osage Beach Fire District, Sunrise Beach Fire District, Joplin Fire Department, Lebanon Fire Department, Logan-Rogersville Fire District, Battlefield Fire District, Bolivar Fire Department, Carthage Fire Department, Neosho Fire Department, Nixa Fire Department, Pittsburg KS Fire Department, Redings Mill Fire District, Republic Fire Department, Strafford Fire Department and the Willard Fire Department. We are offering a premiere opportunity for men and women seeking a career in the fire service industry. Our program will immerse interns into the lifestyle of a firefighter, allowing them to develop top-level emergency service skills and certifications including partial tuition assistance towards Associates in Science in Fire Service Administration Degree. MCFPD will prepare its students for a professional career through outstanding training, education and real world experience. Upon entering the program, our intern firefighters will be assigned dorm style room they will share with other interns at the MCFPD main or outlying stations. Recruits will immediately be assigned to a Shift and Shift Commander. Recruits will respond to all emergencies with their assigned Shift Commander and Firefighter during their assigned duty schedule, giving them a one-of-a-kind hands-on experience before becoming a professional firefighter. In addition to free housing the District will pay tuition and tuition travel expenses for the intern to obtain their Firefighter I & II, EMT-B license and Fire Service Instructor I, Investigator, Inspector, Driver/Operator and Fire Officer I and II through University of Missouri Fire and Rescue Training Institute Summer and Winter Fire Schools. In addition the interns will have the opportunity to apply those and receive their Associate in Science in Fire Service Administration Degree through Columbia College. The applicant must be at least 18 years of age or older. The applicant must possess a current and valid State issued Vehicle Operator’s or Chauffeur’s license or greater (CDL). 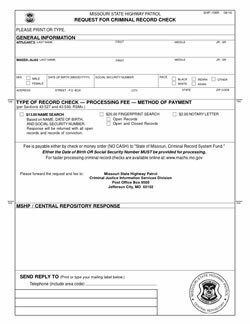 Must be able to obtain Missouri license within 30 days. The applicant must have a satisfactory driving record. This will be determined by the operator’s record check, background check and personal observation. IFSAC Firefighter I & II Certifications preferred but not mandatory. 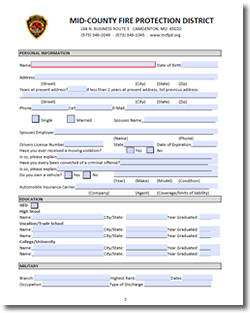 The applicant must past the physical agility testing performed by Mid-County Fire Protection District during the application process. The applicant shall be qualified to operate all District Apparatus at their assigned station in accordance with all applicable District policies and procedures. The applicant must be willing to follow the guidelines set forth in the recruitment and Retention Resident Rules and Regulations. In addition to free housing, the District will pay partial tuition and tuition travel expenses for the intern to obtain their Firefighter I & II, EMT-B license and Fire Service Instructor I, Investigator, Inspector, Driver/Operator and Fire Officer I through University of Missouri Fire and Rescue Training Institute Summer and Winter Fire Schools. 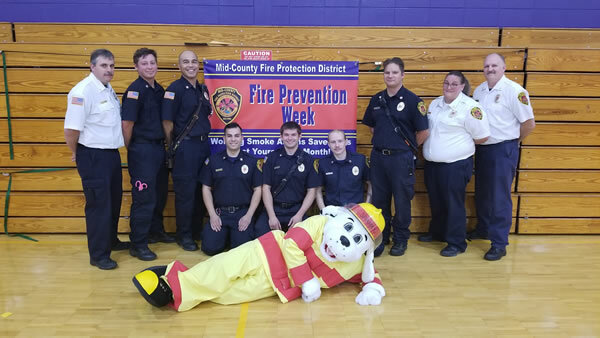 In addition, the interns will have the opportunity for partial tuition assistants towards their Associate in Science in Fire Service Administration Degree through Columbia College. On any given day, we may fight structure fires, brush fires or car fires. We may respond to gas leaks, hazardous material spills, helicopter landing zones, motor vehicle accidents, other injuries, illnesses and accidents. The Emergency Medical Technician (EMT) is a basic course designed to provide training to prepare an individual to function independently in a medical emergency. This provides the basic knowledge and skills needed to provide basic life support care. The above completed items need to be sent to Division Chief of Training Rob Odenwald via email at rodenwald@mcfpd.org or by fax at 573-346-1045. In-complete and / or missing documents will not be accepted or processed.